The refreshing design by Neutelings Riedijk Architects comprised a stack of 10 concrete boxes, each positioned at a quarter turn relative to the other. 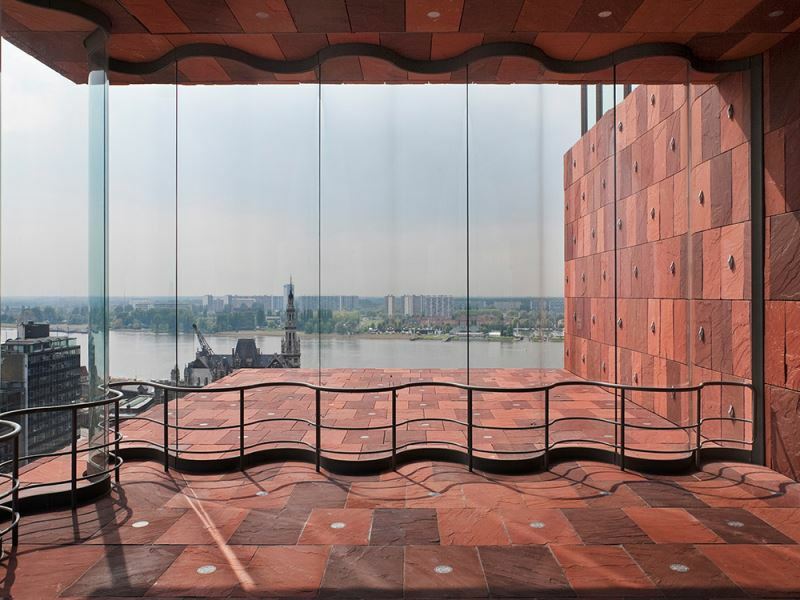 The space outside the box functions as a public gallery that offers a special and ever changing view of Antwerp and that leads to the restaurant on the roof. Columns and other constructive elements were absolutely not permitted to impede the view or the illusion of floating boxes. The main structure is a core of concrete cast in situ. The walls are 35 cm thick. Projecting, storey-high steel trusses are attached to this concrete shaft which track the spiral-shaped movement and carry the concrete boxes containing the museum halls. The truss girders are perpendicular to the box, thereby helping to support it. In spite of this, the concentrated forces produced by the truss girders exceeded the absorbing capacity of the concrete core. To offset the large forces produced by the trusses, steel buffer plates had been poured into the concrete. The 11-metre tall glass façades form a special part of the structure. Based on the experience gained with the Casa da Musica in Porto, it was decided to opt for undulating glass plates. Due to their height the undulating glass plates rest on one another and are supported halfway up by a steel tube that serves as a wind beam. The tube has been suspended by chains from the concrete box above it. Under influence of variable loads the concrete boxes will move independently. The bottom and upper connections of the glass to the concrete must be capable of absorbing these movements. 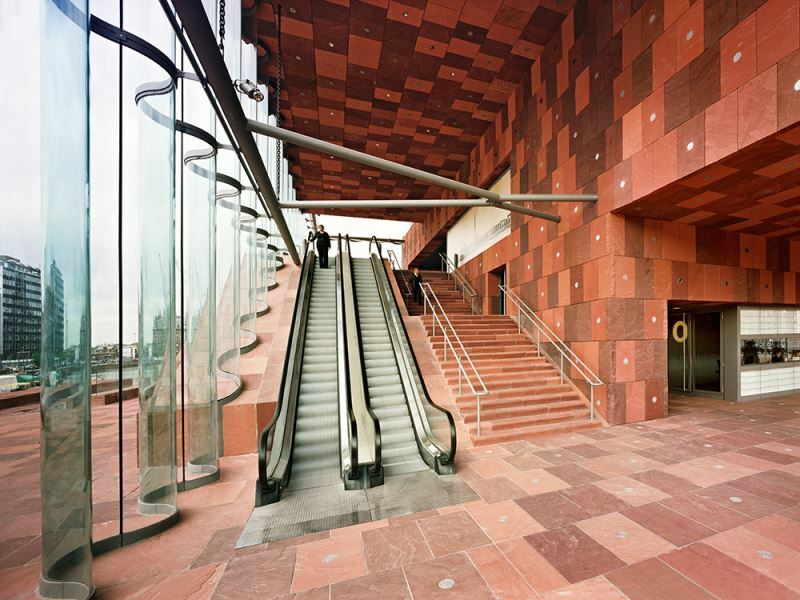 As a constructional consultant, ABT was closely involved in this project. 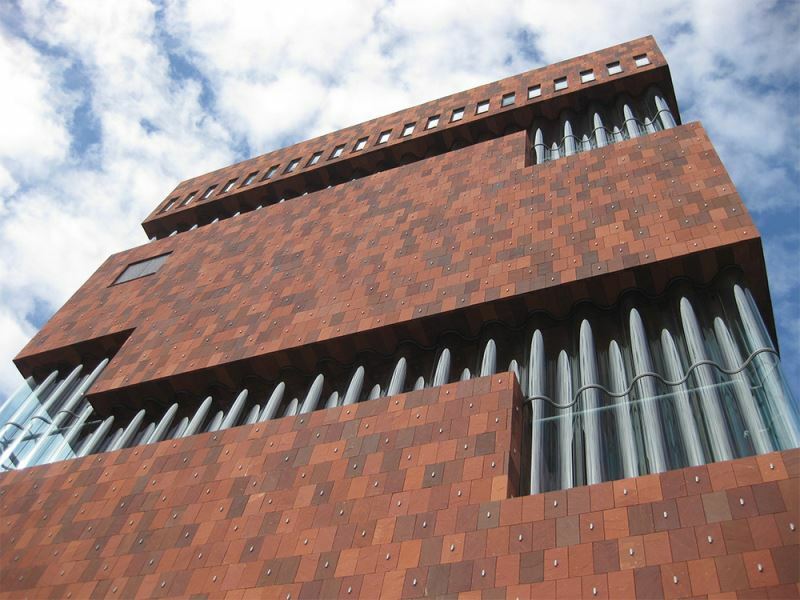 With this innovative concept, the MAS has won Belgian Steel-Building Competition Award 2012 in the category non-residential buildings.